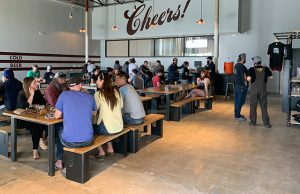 An update in technology has saved Santa Fe Brewing an enormous amount in packaging loss and in shelf stability. 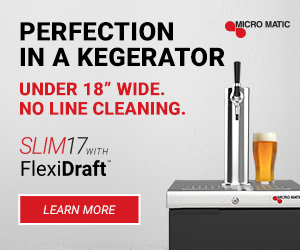 That switch has dealt with an immediate transition from 12-ounce glass bottles into 12-ounce aluminum cans as well. 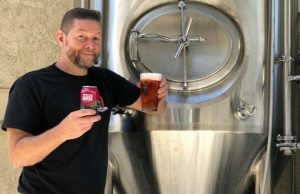 “With the improved manufacturing process of the aluminum can product, it stays fresher longer and without any off flavors because each can is sprayed with a food grade lacquer,” explained Santa Fe Brewing president Brian Lock. 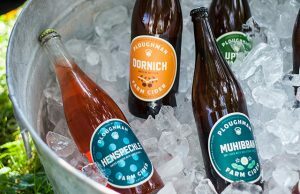 Switching from bottles to cans was a decision to increase capacity, reliability, and quality, but SFBC couldn’t do it without an equipment upgrade. The brewery began canning in 2010 with the release of its flagship “Happy Camper” IPA in 12-oz. cans, but their equipment and processes had limitations. Up until it was taken offline in August, 2016, the old line would create roughly 12-15 cases of low fills and waste roughly three cases of empty cans per shift for an average of 400 cases in a shift. The new canning line so far has just 5-24 cans of total loss on a 16-1,800 case run. “[It’s] an enormous savings in package loss,” Lock said. The new canning line has so many functions that SFBC’s former bottling line did not have with regards to “package error,” performing at 5 parts per billion oxygen pick up as opposed to 105 parts per billion oxygen pick up with the old bottling line, which translates into 20 times fresher tasting beer for a much longer time. The lighter weight of the cans means less expensive shipping and fewer shipments, reducing the brewery’s carbon footprint. They are also more portable and a better choice when recreating outdoors. 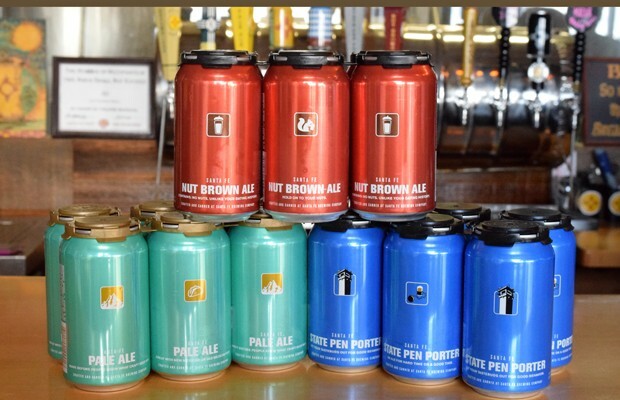 “The quality is much better with cans,” Lock noted, adding that he feels that customers have become to accept that quality beer comes from cans and that furthering education is a continuing goal. Brewmaster Bert Boyce added that Santa Fe can easily change over to a different style to meet more complicated needs. Just recently, SFBC won big at the Can Can Awards, a canned beer competition held annually in Nashville. SFBC took home two golds for best Coffee Beer and Best German Style Pilsner with their Imperial Java Stout and Freestyle Pilsner, respectively. Adobe Igloo, a Winter Seasonal, will be rolling off the new line and onto retail shelves soon as well.